Paris is a city like no other. Gorgeous architecture, fashionable women, kissing couples, patisseries… its the kind of place that nestles into your soul and never leaves. It’s pure magic. If you follow me on Instagram, you may have noticed I skipped the pond last week for a whirlwind four days of Parisian fun. There were croissants and crepes, a croque monsieur, an eclair… ah, perhaps we should just stop there. Lets just say I ate well. Very well. It was a blissful few days of French. I didn’t want to come home. Thankfully, Jason Brooks is keeping the dream alive. 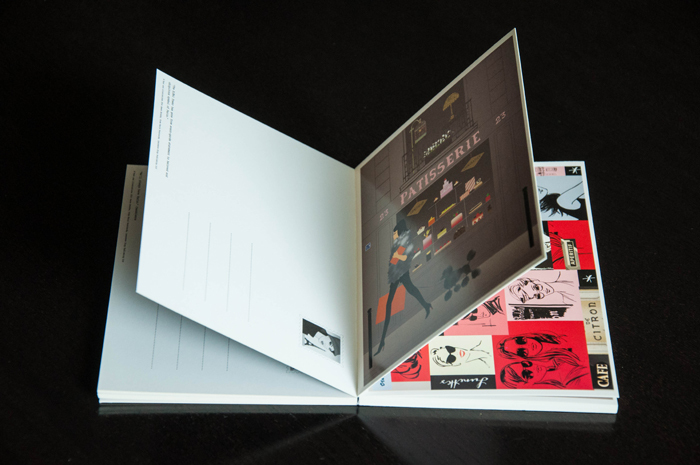 He’s illustrated dozens of quintessential French moments from high fashion to quaint cafes to city street lamps. The best part? They have been thoughtfully cataloged in a book of 20 tear-and-mail postcards. 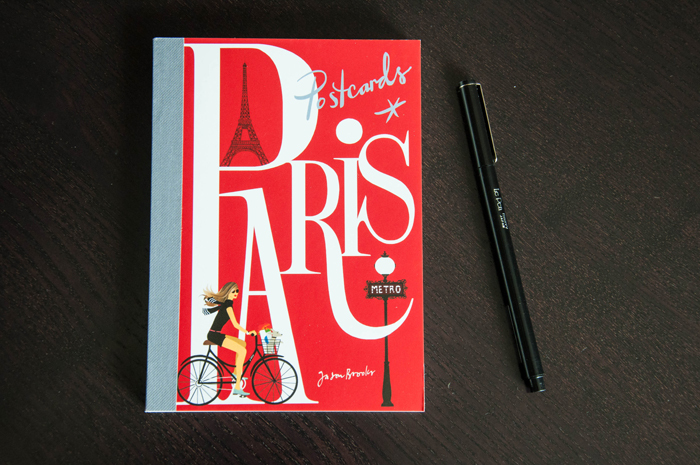 Wouldn’t you love to get a little taste of Paris in your post box? What’s your favorite city to visit? I would love that! :) my favorite US city to visit is Seattle. I’ve been twice and want to go back a third time! As for oversees, London is pretty wonderful!